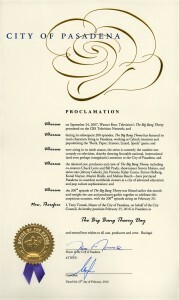 The City of Pasadena officially declares February 25th “The Big Bang Theory Day” to coincide with the show’s milestone 200th episode. 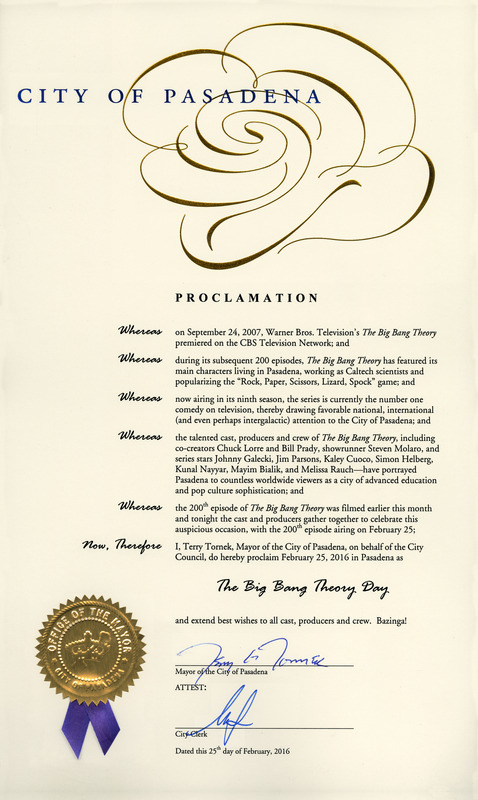 To celebrate the milestone of reaching 200 episodes, the City of Pasadena has declared that Thursday, February 25 will officially be proclaimed The Big Bang Theory Day, within Pasadena city limits. The hit comedy series has been fictionally set in the Southern California city for its entire nine-season run.